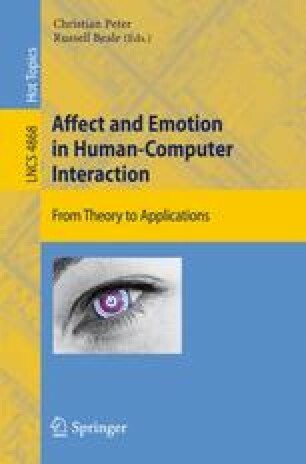 An alternative tradition concerning emotion in human-centered computing is based on sociological conceptions of personality and the emotional meanings of decisions. This essay summarizes work in this area, beginning with the classic Big 5 personality dimensions and the semantic differential, then illustrates recent work with two projects that developed software research tools. The first builds on the semantic differential to measure an individual’s self-esteem across several dimensions, and the second assesses the subject’s reactions to 2,000 common events in terms of 20 emotions.